This is not the first that Galloway has said the unthinkable. Back in 2005 he implied that he won the election as Member of Parliament despite the fact that British newspapers are largely Zionist in their political orientation. 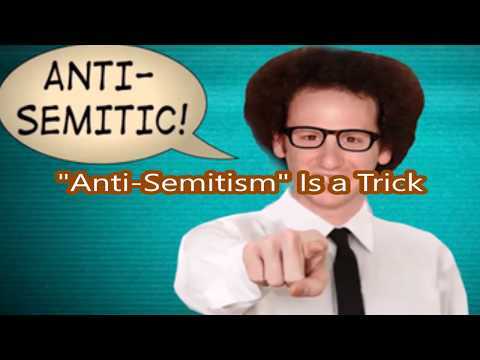 Jewish writer Anthony Julius accused Galloway of being anti-Semitic. Galloway had a history of upsetting the Zionist apple card. He said back in 2014: “We reject this illegal, barbarous, savage state that calls itself Israel.” Galloway also praised the Assad government throughout his political career. Obviously Galloway does not agree with the mainstream Zionist ideology, which wraps itself around the face of humanity and tries to destroy anything it touches. Moreover, Galloway does not line up with the Israeli narrative, which ontologically perpetuates the categorical lie that Assad is out there killing his own people and gassing innocent civilians. “The 1951 bombing barely rates a footnote, but in the history of immigration to Israel, it still has significance, some of it political – because the bombing at the synagogue fueled a whole host of rumors and accusations. Israel was also directly involved in the Lavon Affair in 1954, and if one doubts whether Israel has ever committed terrorist acts, then pick up the scholarly study Jewish Terrorism in Israel, which was published by Columbia University Press. It can be easily argued that Israel was born out of terrorism. Israeli officials literally terrorized the Palestinians and kicked at least 700,000 of them out of their own homes. This is again coming from Benny Morris, One of Israel’s flaming Zionist historians. The logic is pretty clear here: George Galloway is an anti-Semite for saying basically the same thing that Jewish scholars and writers have been saying for years! Anthony Julius, Trials of the Diaspora: A History of Anti-Semitism in England (New York: Oxford University Press, 2010), 530-531. “George Galloway investigated by police for saying Bradford an ‘Israel-free zone,’” Guardian, August 7, 2014. See “George Galloway flatters Assad’s media advisor,” Foreign Policy, January 8, 2017; “Hackers leak Assad’s astonishing office emails,” Telegraph, February 7, 2012. Manfred Gerstenfeld, “George Galloway’s anti-Semitic slurs,” Israel National News, August 9, 2016. See for example Tom Segev, “Now it can be told,” Haaretz, June 4, 2006. Ami Pedahzur and Arie Perliger, Jewish Terrorism in Israel (New York: Columbia University Press, 2011).